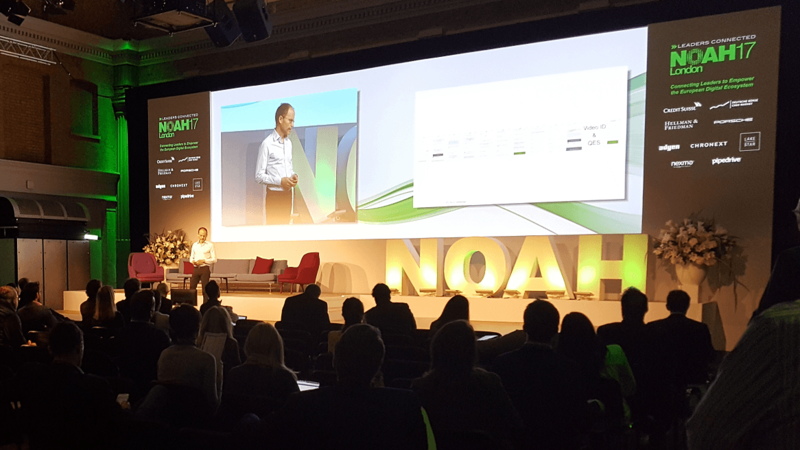 Along with our partners at Mutual Benefits, we attended NOAH London 2017 to meet startups and investors across the European digital ecosystem. NOAH’s past list of scale-ups reveals a “who’s who” of Unicorns attending conferences in London and Berlin. At London this year there were over 2,000 attendees, including 80+ of Europe’s leading digital businesses and 70+ hand-picked top start-ups on stage. Over the 2 days, myself and Mutual Benefits Founding Partner, Yann Mauchamp, had a series of meetings with digital companies and investors to explore specific projects and hear about the focus and challenges of scale-ups at different stages of the international growth journey. During the conference we met with 43 CEOs from 12 European countries, as well as participating in workshops and listening to the excellent line-up of speakers on the main and startup stages. What were the key themes we observed over the two days that are relevant to CEOs looking at entering international markets and scaling growth? It’s often been said that there’s never been an easier time to start a business, but on the flip-side it’s never been harder to scale a business internationally. Investors told us that most companies underestimate the costs of international expansion by us much as 50%. From a European perspective, the difficulty in raising capital compared with their US competitors continues to be an issue, with the problem in some countries being more acute. Yet the speed in which US companies now go international has dropped from 7-8 years in the early to mid 2000s to around 3 years today. We found this theme recurring in many conversations with CEOs who recognise the need to take an “international first” approach and find partners who can assist with expanding into new markets sooner rather than later, when they could potentially be locked-out by swifter, better funded rivals. Of the CEOs we met (all of which were European companies) the top geographical market of interest was the UK, followed by France and Spain. This was despite the acceptance that the UK can be a challenging market to crack due to the maturity of its competitor landscape. However, it’s likely this was somewhat skewed by the event location in London and because many of the ambitious CEOs we met were already strong in key local European markets, such as Germany. Outside of the theme of international markets the other main topic of conversation across the conference was “cryptocurrencies” and the rise of Initial Coin Offerings. According to this analysis, since the beginning of 2017, 130 ICOs have raised $2.7B, with Initial Coin Offerings now around 3x ahead of crowdfunding as a % of all Series A rounds. ICOs have both their supporters and sceptics (we’ll see how this plays out over the coming years) but, since the US accounts for more that half of all ICOs, it shows that European companies are lagging behind with a new source of funding for growth. Our take away from NOAH 2017 London: To remain competitive, European scale-ups need to be “international first” and find innovative ways to support expansion into new geographies.